Anyone who has ever owned-or been owned by-a cat knows its wild and mystical nature. 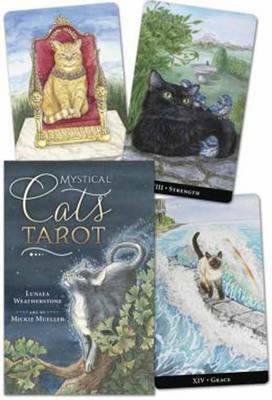 Open the door to a magical world of feline enchantment that offers eternal and ancient wisdom with the Mystical Cats Tarot. Discover amazing artwork of various domestic breeds that face many trials and triumphs as they reveal answers to life's most important questions. Organized by elemental suits and cat-based court cards, this deck presents the cat goddess's descendants in all their furry glory.